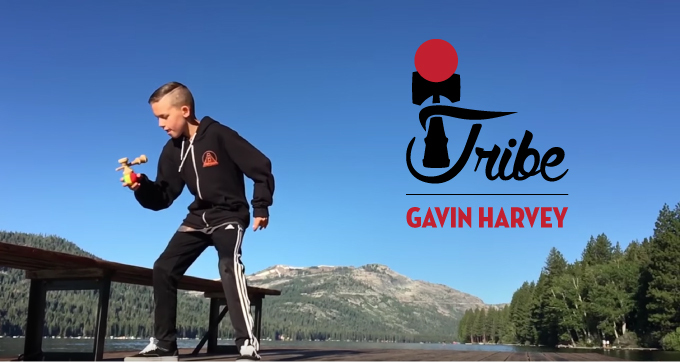 Please welcome Gavin Harvey to the Kendama USA family. We are proud to announce Gavin as Tribe! He is one of the most technical kids in the Kendama community. A few years back Dave Mateo first met Gavin at a small school event with Logan Tosta in Sacramento. Just like Logan, Dave believed that Gavin had high potential of being a great role model and leader for the next generation. Not only has Gavin rocketed his skill since then, he has also continued spread the love of the game through out Sacramento and progressed the players around him. Check out Gavin’s announcement video below.